Black Knight invented the brick barbecue kit back in 1977 and are still the only barbecue kit specialists in the UK - at the forefront of design and innovation. 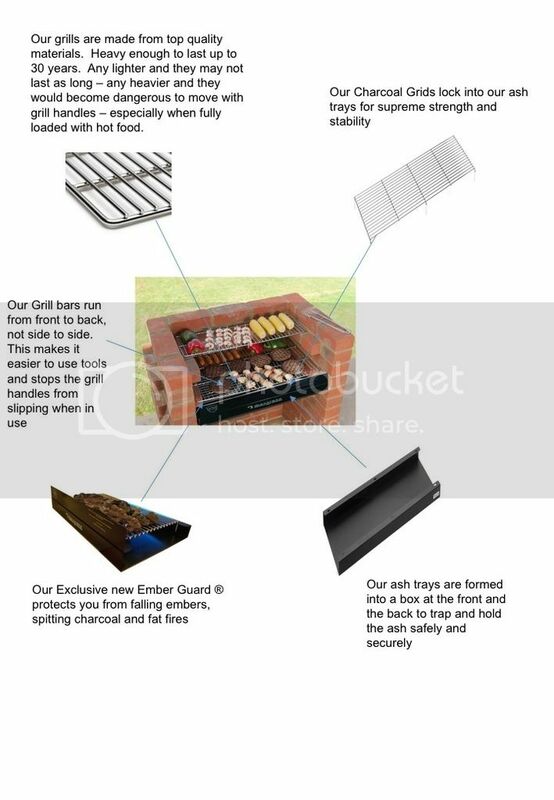 In 2015 we took the unusual step of having our brick barbecue kits tested by The British Standards Institute to ratify the quality of our materials and the safety of our design in accordance with the safety standard BS EN 1860-2013:1 and we are currently the only manufacturer offering a kit that has passed that safety test. Our kits are all designed in the UK and we have the widest range of accessories available as well as many registered designs that are exclusive to Black Knight. During the summer months, we get at least one call a week from customers that have had their Black Knight barbecue kit for over 30 years – and they are just looking to replace one part of it!! If that’s not a good reason to make sure you buy the best we don’t know what is!